Love is committed action, not just a convenient word. 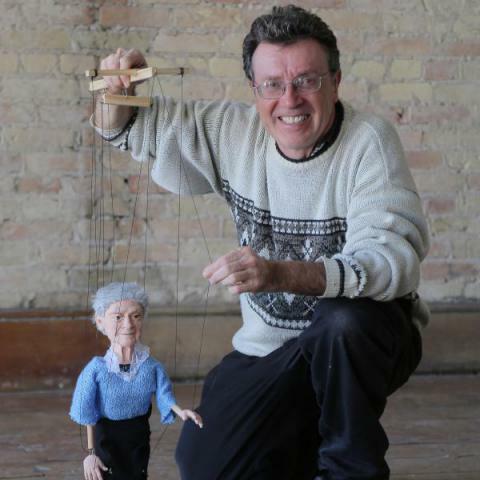 Dan drags you into his life again, this time recounting his experiences as the sole, live-in caregiver to both parents—represented by marionettes—who have Alzheimer’s. Music and songs by local artists. Half of funds to Meadow Park Nursing Home.